​What is the Affordable Care Act? Also known as "ObamaCare", the ACA is a United States federal statute signed into law by President Barack Obama on March 23, 2010. In addition to the Healthcare and Education Reconciliation Act, it represents the most recent and significant regulation of the United States Healthcare system. for nursing mothers to express breast milk during the workday (up to one year after their child's birth). Effective March 23, 2010. 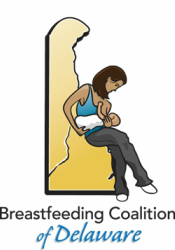 The ACA requires health insurance support for breastfeeding pump rental and breastfeeding educational services with Section 2713.